Being Casandra and Andy's Carillon Beach wedding photographer is something I'll never forget. It was so full of love, warmth, joy, and dancing. Oh...the dancing! Casandra and Andy met during a night out and are really passionate about music and dancing, so much so that they flew in their own DJ from New York. 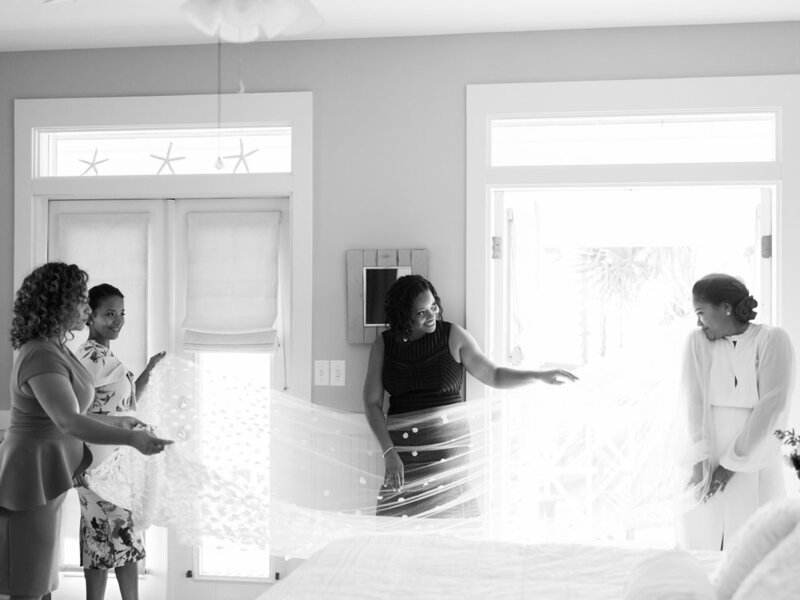 These two planned their beach wedding all the way from Brooklyn New York. Peach and Pearl Events teamed with Myrtie Blue to create a gorgeous color pallet. Brian, of Myrtie Blue, and his team created a masterpiece of florals. The blush and greens mixed so beautifully with the deep purples. They turned the inside of the reception tent into an elegant reception for Casandra and Andy's closest friends and family. 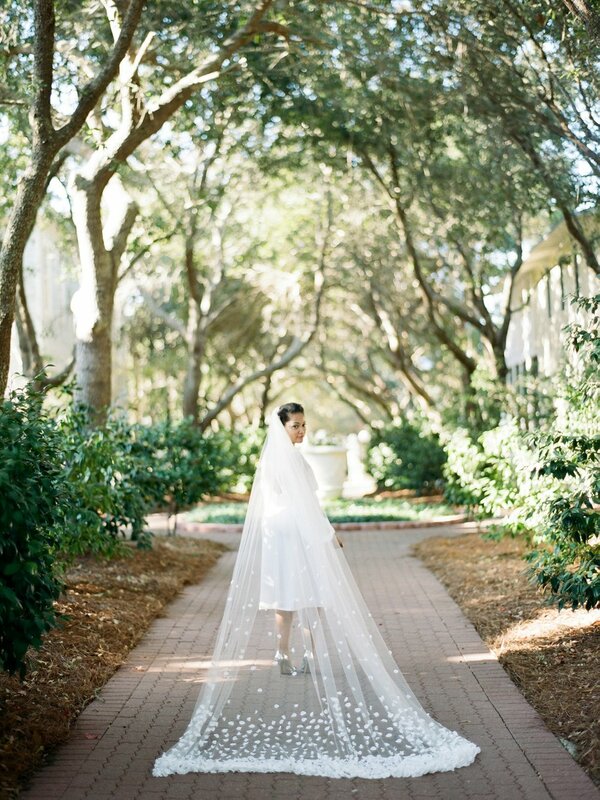 I couldn't keep my eyes off of Casandra's incredible cathedral length veil and metallic Prada shoes. "In one word – Shannon is PHENOMENAL! I live in NYC and therefore planned my wedding long distance in Panama City, FL. Shannon was very easy to work with and extremely patient with my planning questions. She was also super responsive to all of my needs. The day of the wedding, Shannon showed up early and ready to go! She was very relaxed and therefore made me and my family/friends comfortable in front of the camera. She went out of her way to capture beautiful pictures that I will enjoy for a lifetime. I thoroughly recommend her as a photographer for not just weddings, but any and all events! Loved her!" Check out their feature on Style Me Pretty!